It has been quite a week here at Africa Talks. After the Op-Ed titled “Susan Rice and Africa’s Despots” was published on Monday in the New York Times, I have received varied reactions from different sources including journalists in the mainstream media, scholars and diplomats. Many of them came to Ambassador Susan Rice’s defense. But most importantly, the article has managed to prompt a healthy discussion on the subject of what the role of the next Secretary of State should be in Africa. In the wake of Rice’s withdrawal from consideration for appointment as Secretary of State, I have decided to post this blog entry in the hopes of moving the conversation forward. But first let’s look at reactions. Ethiopia’s Ambassador to the U.N., Tekeda Alemu, wrote in a letter to the editor published on December 12 that the onus is on Eritrea to reengage with its neighbors and show a “pacific disposition” in its foreign policy. Mr. Alemu is correct that Eritrea has often been belligerent towards its neighbors. I agree that it’s time for a new start in discussions on the Ethiopia and Eritrea issue. I can only hope that Mr. Alemu can convey the message to the leadership in his country. It is finally time to move on and make peace between the two countries and I was encouraged to hear the new Ethiopian PM, Hailemariam Desalegn, indicate a willingness to hold talks with Eritrea in a recent Al Jazeera interview. 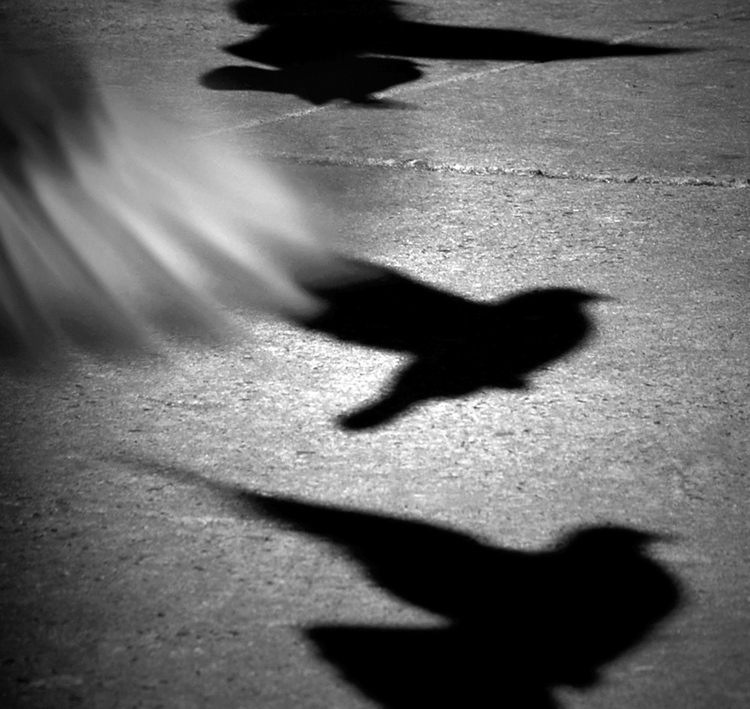 It’s time for the leaders to step up, swallow their pride and talk for the sake of their people. I would also like to invite Mr. Alemu to read answers for issues he talked about in the letter. I have addressed sanctions on Eritrea before the Op-Ed in a blog entry titled “The Case Against Susan Rice” and clearly stated what steps to take in order to make peace in a response titled “Rice: Hitting ‘reset’ on Africa talks” and published on Reuters’ The Great Debate. 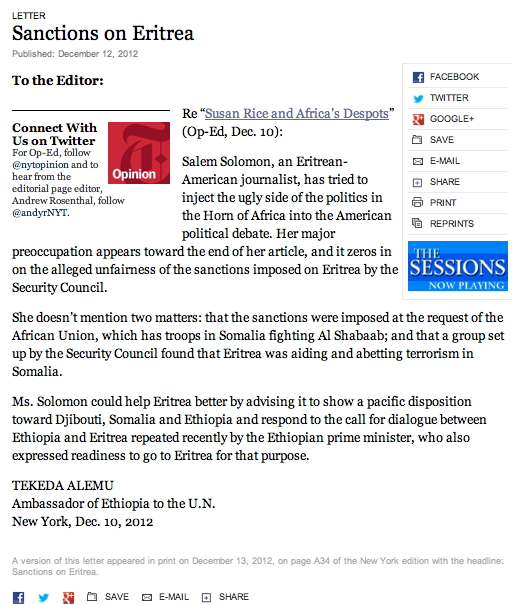 Shortly after the letter by the Ethiopian Ambassador, the Eritrean Mission to the UN also published a response on dehai.org and later in the New York Times. 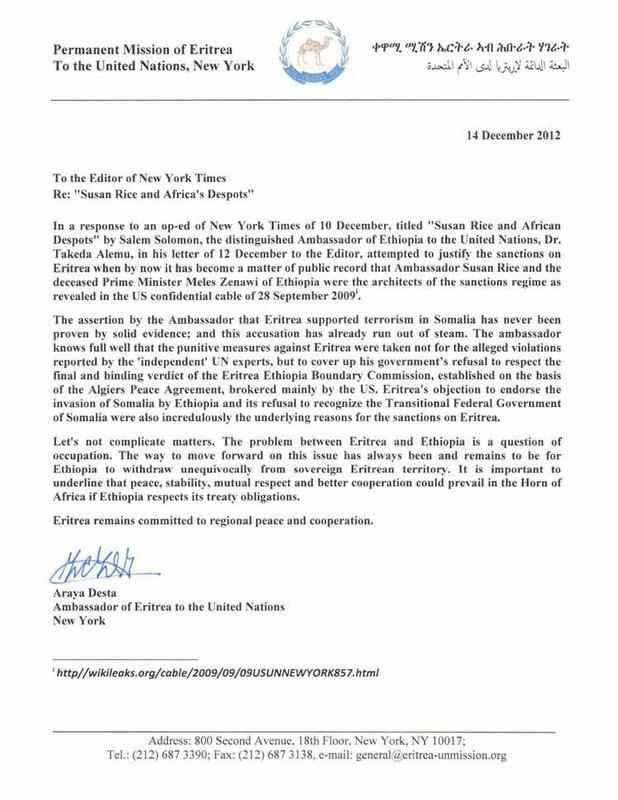 I think that even if it’s through letters sent to the New York Times, Ethiopia and Eritrea are finally having a dialogue and this maybe a start to something more productive. Similarly, the same day, Andrea Mitchell Reports of MSNBC interviewed Michael O’Hanlon, the director of research and a senior fellow at the Brookings Institution, who also used to work with Rice and is close friends with the Ambassador in a segment titled “Rice’s ties to African leaders questioned.” He took the liberty to call the criticism “an absurd argument,” after looking at the list of leaders mentioned. It came to my attention when Ms. Mitchell Tweeted about it. Mr. O’Hanlon’s argument is that the leaders of the African countries listed in the Op-Ed happened to be five of the best African countries in terms of economic growth and political stability. Now, I admire his dedication to defend a former colleague, but I would like to point out to Mr. O’Hanlon that friendship shouldn’t stop him or anyone else from holding a public servant to account. Keeping this in mind, Mr. O’Hanlon should understand that the U.S. cannot simply measure its allies by their GDP. Places like Ethiopia and Rwanda may have enjoyed remarkable growth in recent years, but we cannot turn a blind eye to their actions to silence dissent, dismantle democratic institutions and imprison people without fair trial. Growth at the expense of these values is unsustainable to say the least. I would also like to call on Ambassador Rice to continue to use her significant influence at the U.N. to push for peace in the Horn of Africa. This might start by pushing the Ethiopian leadership to abide by the “final and binding” decision of the boundary commission. Eritrea’s leadership too must know that it cannot continue to use the border issue and continued hostilities with Ethiopia as an excuse to rule the country with an iron fist. I have hope that Ethiopia and Eritrea can build bilateral relations at some point in the near future. That could also mean all Eritreans, especially those of us in the diaspora, divided for different reasons as explained here by Ayittey, will have more room to unite. We can finally discuss real issues because the border distraction that has been used as an excuse to violate human rights and let the Eritrean government get away with many atrocities will finally be erased. So let the debate continue.